Join this webinar to hear case studies and key success factors in using real world data and market insights for more targeted, successful brand launches. Our industry is on the precipice of moving from the pharmaceutical age to the data age in healthcare. Working with Zephyr Health, this webinar will discuss concepts such as data maturity, achieving decision excellence and ultimately why those companies which embrace the untapped opportunities available now will rapidly develop competitive advantage. 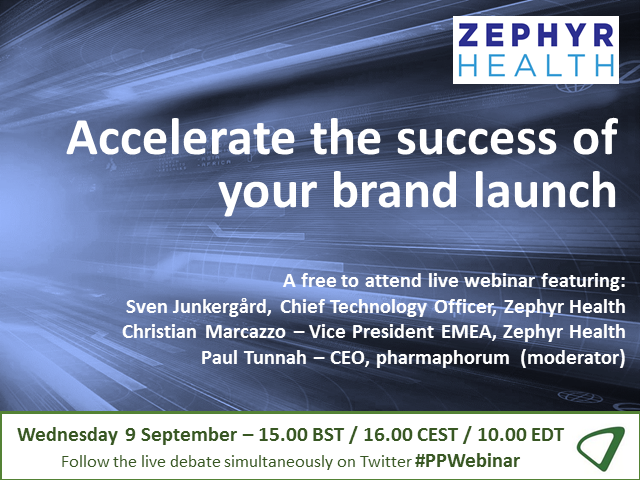 Zephyr Health experts Sven Junkergärd and Christian Marcazzo join pharmaphorum’s Paul Tunnah to discuss how and why brand launches can be accelerated through intelligent and innovative use of data, and drawing from their extensive experience, show what you can do to implement these learnings.